Online business koi bhi ho sab ke liye high traffic ki jarurat padti hai. Blogging bhi puri tarah traffic ke upar nirbhar hai. Jis blog par jitna high traffic hoga wo utna hi popular or better blog hoga. 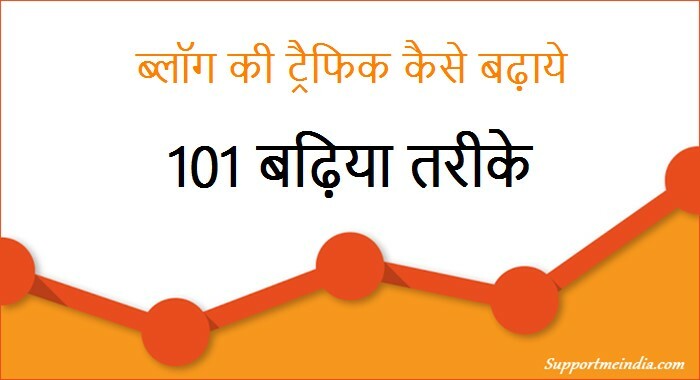 Is post me mai aapko blog ki traffic badhane ke simple 101 tarike bta raha hu. Jinhe follow karke aap apne blog ki traffic 100% badha sakte ho. Blog par agar traffic nahi hai to wo kisi kaam ka nahi hai. Value usi ki hoti hai Jise log salute karte hai bilkul wese hi agar aapke blog par 100 posts bhi hai or acha traffic hai to aapka blog dusre kisi 500 posts wale blog se better hoga. Mai blog traffic ke bare me pahle bhi kei post likh chuka hu. Aap ek bar inhe bhi padh lijiye. In sabhi post me maine blog ki traffic badhane ke tariko ke bare me ache se samajhaya hai. Inke alawa bhi aapko supportmeindia par blog ki traffic badhane ki or bhi bahut articles mil jayenge. Uske liye aap humari SEO se related post padhe. I promise aapko humari site par blog ki traffic badhane ki achi jankari milegi. Or aapko kuch na kuch new sikhne ko milega. Is post me mai aapko un 101 simple tariko ke bare me bta raha hu. Jinhe aap aasani se follow kar sakte ho or apne blog ki traffic badha sakte ho. So agar aap realy me apne blog par high traffic dekhna acahate ho to is post me btaye tips ko ache se padho or jitna ho sake follow karo. Blog par high traffic lane ke liye hum kya kuch nahi karte hai. But humse humesha ek galti ho jati hai. Hume blog ki traffic increase karne ki jo bhi jankari milti hai. Hum use padh to lete hai but follow nahi karte hai. So plz is post ko padhne ke bad ignore mat kare or jyada se jyada step follow karne ki koshish kare. Use High ranking keywords – Sabse jyada search kiye jane wale keywords ko use karke post likhe. Make excellent articles – badhiya se badhiya article likhe. Jise visitors ek bar padhne se hi aapke fan ban jaye. Write maximum words post – Search engine se jyada traffic pane ke liye ek post me minimum 2000 words hone chahiye. Isse kam words use karoge to search engine se traffic milne ke khwab chod de. Write shorts cool posts – Aap short post bhi likh sakte ho. But short post me 10 badi post se bhi achi or best jankari honi chahiye. examply jaise aap kisi tricks ke bare me bta sakte ho. Write new topics – Humesha aysi jankari share kare jo internet par bahut kam ho. Write for your readers – Apne visitors ki pasand ke hisab se ne w post likhe. Write your success story – Aapne kis tarah apne blog ko success banaya uske bare me bhi post likhe. Write Your income – Apni income report share kare. visitor ise sabse jyada pasand karte hai or unhe isse hard work karne ki new power milti hai. Ask your reader’s about new post – Apne audience se unki pasand puche or unki pasand par bhi post likhe. Write your blog most popular content – Apne blog ki sabse jyada popular articles ke bare me post likh kar visitors ko btaye. Interview other blogger – Dusre blogger ka interview le or use apne blog par publish kare. Write about best related blog – Apne blog se related dusre popular blog ke bare me post kare. Write about celebrities – Happy new year and other celebrities ke bare me post kare. Write about your thoughts – apne vicharo ko apne readers ke sath share kare. Jisse wo aapko ache se samajh sake. Use eye-catching photos – Blog post me badhiya se badhiya images use kare. Jinhe dekhte hi user aapke fan ho jaye. Add pinterest button on images – images par pinterest button add kare jisse aapke photos ko user share kar sake. Add social button on photos – Pinterest ke alawa aap facebook, twitter, google+ share button bhi images par add kar sakte ho. Make Image Clearly – Blog post me jitna ho sake clear image hi use kare jo blog post content me jaruri ho. Bekar ki faltu images use karne se search ranking low hoti hai. Use only self create and free stocks images – Blog post me apni banayi huyi or free stocks website ki hi images use kare. Copyright images use na kare. Create a google plus page – Apne blog ke liye ek google+ page banaye or apne new post us par share kare. Create a facebook page – Apne blog ke name se ek facebook page banaye or us par blog ki sabhi posts ko share kare. Tweet all your post – Apne blog ki sabhi post ko twitter par share kare. Add latest tweet widget – Blog ke sidebar me apne twitter account ki latest post widget add kare. Use social media share button – Blog post me social media share button use kare. Jise user aapki post ko share kar sake. Add social media follow widget – Blog me social media follow widget add kare. Regular pin images other blog – Dusre blog ki images ko bhi apne pinterest account par share kare jisse aapko or jyada followers mil sake. Comments on other blog – Dusre blog ki post par commnets kare jisse aapko backlinks mil sake. Follow all other blogger – Dusre blogger ko bhi social media par follow kare. Jisse unki activity ke bare me aapka pata cha lsake. Active on social networking sites – Social site par bhi kuch time active rahe or apne followers ke sath relation banaye rakhe. Start guest post on your blog – apne blog par ghuest post bhi share kare. Isse aapko traffic bhi milega or aapki site ka content bhi badhega. Share guest post on other blog – Dusre popular or aapke blog se related blog par guest post share kare. Do interview on other blog – dusre blog par apna interview de or apne bare me readers ko btaye. Set up a free blog – agar aap self hosted blogger hai to ek free blog bana kar us par apne blog ki post share kare. Share link on other blog – Apne blog se related dusre blog par apni site ka link add kare. Make Your blog SEO friendly – Apne blog ko complete seo friendly banaye. Set up all settings – Blog ki complete setting kare. or blog me se extra items ko remove kare. Make designed blog – Blog ko ache se design kare jisse visitors ko aapke blog ka design pasand aaye or wo aane wale time me bhi aapki site par visit karna chahe. Add internal & external links in blog post – Blog par post likhte time post me apne blog ki dusri post ka link or dusri site ke links jarur add kare. Isse blog ki search engine ranking badhti hai. Use keywords research tools – Blog post me high ranking keywords use krne ke liye top keywords research tools add kare. In my case mai Semrush tool use karta hu. Find Idea For New post – Blog par new post likne ke liye idea search kare iske liye aap kisi bhi online post title maker site use kar sakte ho. jaise:- Hubblogs. Submit site to google – Apne blog ko google search console (webmaster tools) se submit kare. Submit site to bing – Goolge ki tarah hi site ko bing search engine se submit karna jaruri hota hai. Submit blog to all search engines – Apni site ko sabhi search engines se submit kare. or apni site ko complete seo friendly banaye. Create sitemap for your blog – Apne blog ke liye sitemap generate kare. Submit sitemap to google webmaster – Apni site ka sitemap banane ke bad use google webmaster tool me submit kare. Submit sitemap to bing webmaster – Blog ke sitemap ko bing webmater tootls me add kare. Submit site to alexa – Site ki alexa rank increase karne ke liye site ko alexa se submit kare. Use Yoast SEO plugin – Agar aapki site WordPress par hai to yoast seo plugin use kare. ye plugin seo ke liye world me no.1 hai. Use keywords in post title – Blog post me topic me 1-2 high quality keywords use kare. Isse aapki post search engine me top tanking me hogi. Use keywords in post content – Post contnet me aap jitna ho sake utne keywords use kar sakte ho. Aap post content me jitne jyada keywords use karoge. Aapki post ki search ranking utni hi better hogi. Submit your site to yandex – Blog ko yandex webmaster se bhi submit kare. Set up site to google authorship – Apni site ko google authorship se connect kare. Submit site to pinterest – Apni site ko pinterest se submit kare. Use 50-70 characters in post title – Blog post title minimum 50 or maximum 70 words hi use kare. Use heading in post – Post me 1-2 heading use kare. Isse search robot ko aapki post jaldi samajh me aati hai. Highlight Post top keywords – Post content me top keywords ko highlight kare. Write Negative Content – Blog post me don’t read this, don’t show it jaise words use kare. User aysi post ko jyada padhte hai. Add post summary – Post ke last me post ke bare me 3-4 lines us post me btayi jankari ke bare me jarur add kare. 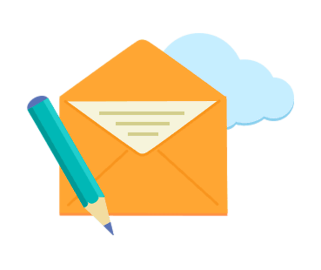 Add email service – Blog ke liye feedburner, awebar and other koi bh iemail service shuru kare. Jisse aapke visitors ko aapke new post ki janakri mil sake. Add subscribe widget – Blog me subscribe widget add kare. Jisse aapke reader aapke blog ko subscribe kar sake. Change delivery time – apne audience ke hisab se ki aapki site par sabse jyada vbisitors kab aate hai. email delivery time change kare. Isse aapko jyada email click mil sakte hai. Set up email delivery content – Aapki new post ki notification visitors ko milti hai to usme kya kya show hona chahiye. IS sab ko apne hisab se set kar le. Show only summary in email message – Email message me sirf post ki summary hi send honi chahiye. Agar email me aapki puri post ka content show hoga to koi bhi aapki site par visit nahi karega. Sab mail me hi aapki puri post padh lenge. Ask your reader to subscribe blog – Apne visitors ko blog ko subscribe karne ke liye kahe. Add confirm message in subscribe widget – Blog par feedburner ki free email service use karne wale blogger ko apne blog par subscribe widget me confirm message add karna chahiye. Jisse user aapko subscribe karte time email confirm jarur kare. Add simple subscribe widget – Ek designed subscribe widget ki jagah ek simple widget se jyada subscrbiers mil sakte hai. So blog me simple widget hi add kare. Check email services Activity – Blog me email servise active karne ke bad ek bar confirm jarur kare ki aapki post ki delivery aapke visitors ko mil rahi hai ya nahi. Add social button with subscribe widget – Subscrbie widget me social follow button bhi add kare jisse user aapko social media par bhi follow kar sake. Give interview any newspaper – Apni site ke bare me kisi local ya fomous jaisa bhi aap kar sako ko interview de or news paper me apni site ki news add karwaye. Make grating card – Apni site ke name se aap kisi wishes tyohar par grating card bhi banwa sakte ho. Add promotion board – Apni site ke name se aap market me board bhi lagwa sakte hai. But iske liye aapki site most popular honi chahiye. Give Ads in market – Apni site ke url name se market me aap T-shirt, shoes and other product banwa sakte ho. Speech in most events – Apni kis party and most event me apne sabhi friends ko iske bare me bta sakte ho. Ask your friends – Apne friends se kah kar bhi aap apni site ka promotion karwa sakte ho. Make apps for your blog – Apne blog ke liye kisi app developer se 5,000 to 10,000 me apps banwa le. Aajkal user sabse jyada smart phone hi use karte hai. Ayse me agar aapki site ka apps hoga to aapko isse or jyada traffic milega. Monetize your app – apne app ko bhi aap AdSense se jod kar paise kama sakte ho. Make full site app – Aap apni site ke liye full details me apps banwaye. Jisse aapke visitors ko apps par puri jankari mil sake. Add link to visit on site – Apps me apni site par jane ke liye bhi links add kare jisse visitors apps ke throw aapki site par visit kar sake. Update old post – apne purane articles ko time par update karte rahe or usme jaruri changes karte rahe. Add update date in post – post ko update karte time post me last update time jarur add kare. isse visitorss ko ye pata chalta hai ki ye post kab likhi gayi or kab update ki gayi. Ayse me us post ko pahle se padh chuke users bhi fir se padhna apasand karenge. Change old post title – Agar aapko lagta hai ki post ke title me kuch words change karne se aapko jyada traffic mil sakta hai to post tile ko change kare. Remove Extra words – Post title me 70 se jyada character hone par search engine se adhik traffic nahi mil pata hai. Isliye aysi old post ko edit kar ke post topic me se extra words remove kar de. Don’t change post links – Post edit karte time post ka links change nahi karna chahiye. Isse 404 page not found error problem hoti hai. Add more content – Agar aapki kisi old post me kam 500 se bhi kam words hai to use edit kar usme or words add kare. Jisse us post ki search ranking me sudhar ho or aapko jyada traffic mil sake. Work on other blog competitions – Dusre blog jin par aapki site se related jankari share ki jati hai. Unse competition bana kar blogging kare jisse aapko hard work karne ki power milti hai or aap dusro se aage niklne ki koshish karoge. Ask to other big and success blogger – Dusre fomous blogger se blog ki traffic badhane ke bare me puche or unke btaye tarike follow kare. Choose a beatiful simple theme – Apne blog ke liye koi achi badhiya simple the or template choose kare. Jise log aapki site ke disgn ko bhi pasand kare. Make fast loading blog – Aapka blog jitna jyada fast loading hoga aapko utna hi jyada traffic milega. Kyuki slow open hone wali website ko 10% peoples bhi like nahi karte hai. Increase RSS feed subscribers – Apne blog ke rss feed subscribe badhaye jisse aap jab bhi new post likho to aapko jyada traffic mil sake. Choose full mobile friendly theme/template – User sabse jyada mobile hi use karte hai. Ayse me agar aapki site mobile me sahi se open nahi hogi to aapko mobile user ka kam support milega. Make site simple design – Ye bat 100% sach hai ki ek more beatiful designed site ki jagah user simple design site ko jyada pasand karte hai. Aap t ohindi blogger hai so site ka design simple honaa chahiye. Jisse aapke visitors ko aapi site ache se samajh aa sake. Make about us form – Apni site par apne bare me or apni site ke bare me ek page banaye. Usme apni puri details likhe ki aapne kaise or kyu is blog ko banaya hai. Isse visitors ko aapke bare me jyada janne ko milta hai or unka aapse acha relation banta hai. Write helpful post – Jitnaa ho sake blog post me helpful jankari share kare. Jisse logo ko lage ki aap wastav me dusro ki help karte ho. or aap ek ache inshan ho. Add a search box – Site par ek search box jarur add kare jisse aapke visitors apne kaam ki jankari search kar sake. Links to your most popular article in sidebar – Apne blog ke sidebar me blog ki sabse jyada popular post jarur add kare. Kyuki new visitors sabser pahle aapki popular post padhna pasand karte hai. Optimize Your site – Apni iste ko optimize kar ke baki dusri sabhi sites se alag look de or apni site ki alag pahchan banaye . Aapki site ka look sabse alag hoga to user ko aapki site yad rakhne me bahut aasani hogi. Share photos on free stoccks websites – Agar aapko achi images create karne ki jankari hai to aap free images download karne wali websitespar apni photo share kar sakte hai. Un photos me aap apni site ka link add kare. Jisse jo bhi aapki images ko use karega use aapki site ke bare me jarur pata chalega. Make aa question & Answer form for your site – Apni site ke name se koi bhisawal jawab form banye. aap yahoo par bhi question answer site bana sakte hai. Offer for your blog – Apne blog ki traffic badhane ke liye aap apne visitors or friends ko offer kar sakte hai ki aap unhe kitne visitors par kya offer de sakte ho. ayse me log aapki site par facebook, twitter par se new users jod sakte hai. Admin request to all visitors – Finaly mai aapse kahna chahunga ki mai bhi supportmeindia par blog ki traffic badhane ki jankari share karta ho. Aap humare blog par aa kar bhi blog ki traffic badhane ki jankari le sakte hai. So mai aapse rquest karta hu ki supportmeindia par regularly visit kiya kare. By the way is post me maine aapko jitne bhi tarike bataye hai. Wo sab aapke blog par traffic badhane ke kaam aayenge. Is post me maine jitna ho saka hai free ideas dene ki koshish ki hai or sabko short me samajhaya hai. Jinhe aap aasani se samajh sakte ho or follow kar sakte ho. I hope aapko is post me blog ki traffic badhane ke behtrin ideas milenge or aap apne blog par traffic badhane ke new tarike sikhoge. Agar mai sahi hu or aapko meri post sachmuch pasand aayi ho to post ko social media par share jarur kare. sath hi post ke bare me commnet me 2 lines bhi jarur likhe. This very helpful post. Thanku so much shareing this post..
Meri website https mai show kr rha hai. But fully not secure dekha rha hai. mera blogger pr website hai. Aap http url me https replace karo. Sir aapne jo jankaari di hai wo new blogger aur Expriance blogger ke liye bhi helpful hai. link edit karne par eror 404 ki problem hoti hai. 1. yes laga sakte hai. 2. jarurat padne par edit kar sakte ho. Guest posting kar dofollow backlink milega. Nice post. aap ache tips dete ho. Do researching or use researching tools. Aapki site search engine me show ho rahi hai, aap site:example.com type search karo. Main is bare me kai article likh chuka hu aap humari SEO wali post padho. Agar aise me mai google adsense ke liye Apply karta hu to kya mere blog ke liye approval mil payega. Aapke blog ka content adsense ke rules follow karta hai to approve ho jayega. Bog banane ke bad achha content likho aur use promote karo sath hi uske liye backlinks bhi banao. Sir main apka yah article month me 4 se 5 bar pdti hu aur sabhi point cover krti hu. Kya aab bta skte hai blog ke liye sticky header theme free me kon si better hoti hai. Aap apne aur apne blog ke according design wali theme use karo. Header sticky karne ke liye ye CSS code use karo. Achha content likho aur SEO ko sahi se samajho. Abhi user content se jyada video jyada dekh rahe hai. Mostly blogger ko traffic loss hua hai. yeh blog kafi informative tha. Thanks for sharing such a huge information in this blog. Thanks you bhai me apka fan ho gaya hu… Ab me bhi im tariko ko aasma ke dekhta hu. Bhai ji aap k vichar mujhko bahut hi achchhe lge..
Or sab se achchhi bat ye lgi ki aap sabhi k comments ka reply krte ho..
Aap wastav me achchhe blogger k Sath sath ek bahut hi achchhe insan b ho. 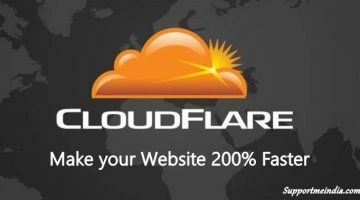 use cloudflare or ye spam traffic kam kar dega. Maine apka Pura Article acche se Padha aur Mujhe samjhe me aa gya. Lekin maine Facebook Par Instant Article Enable kar diya hai. Jiske wajay se Social Media Traffic kam ho gaya aur sath referral Traffic Bhi kam Ho gaya hai. Please aap koi aisa tarika Bataye Jisse Referral Traffic Increase kiya jaa sake. 1.sir agar hamaare youtube channel par 10 videos hon un 10 videos ko hamaara friend roz dekh kar un 10 ke ads roz click kare to isse invalid click activity aayegi..
2.sir videos wali ads ko bina click kiye bhi arning hoti hai..
aapne bahut hi important information batayi hai is article me. Sir facebook par jinke account par flow ka option aata hai. Agar me use apne facebook par friend banana chahu to kya nhi bana sakta. Kya iska koi hal nhi hai plz mujhe bataiye. Kya karna hoga. Yes bana sakte ho but uske liye aap pahle uske kisi friend ko friend banana padega. Maine abhi abhi hindi blog start kiya hai or ye article mere liye bahut hi helpful raha. Thanku for writing this article. Aap blog ke domain setting me DNS record proper add karo. Aapka blog open nahi ho raha hai. So main check nahi kar sakta. Social media ka istemal karo social media par is type ke content par jyada traffic milta hai. Super sir Seo par without image use kiye kam se kam kitne words me post likhe ki 1st page par hamari website aa jaye. Read our other SEO articles. Sir maine apko follow krke last month se blog start kia bt mere blog ki traffic bilkul nhi badh rhi h kya kru blog hi delete krdu ya fir aap kuch guide karenge. Aap blog ka promotion sah ise karo or long content likho. Main iska jawab aapko old comment par de chuka hu comment karke check kiya karo. Aapke blog me SEO mistake hai aap post content ko sahi se optimize karo taki wo google me top par aaye. Kyuki aapke google plus wali post search me aa rahi hai blog ki nahi. Aap gogole plus setting me ja kar search engine wale option ko hide karo. Ek sawal.. Sir kya aapne apne blog ka android apps bhi banaya hai kya ? awesome article bahi..mai aapke btaye idea ko jaroor follow karuga..
Aapka blog bhut accha h. Kafi useful jankari dete h aap or logo ki problem ka sahi solution batate h. M bhi aapki help chahti hu. Mera blog h swadorsehat.blogspot.in . aap aik bar check kr lijiye jo bhi kmi ho. AB maine Swadsehat.com naam ka domain le liya h.ab blog ki post kaise iss site pr add kru.thodi knowledge km h iss bare m. pls btaiye. Blog Pr traffic bhi bhut km h.jbki twitter Google plus account or fb page bnaya hua h. Pls help me. बहुत ही अच्छा Article लिखा आपने इसको Publish करने के लिए Thank You..आप जैसे Bloggers की वजह से ही Hindi Promot होती है All The Best for Your Upcoming life…सभी Readers इस Blog के regular Redear बने और Hindi को Support करे. Nice Post Thank you for sharing this type of post. Sir mera blog search result main bilkul nahi aa raha kya karun ? Yes time lagta hai aap blog par achhi post likho or traffic badhao. Aapki template me redirection code add hai. Aap aesi template use mat isse AdSense ko problem hogi. Aap koi or template use karo. Aapke blog me koi kami nahi hai bas aap ek bar uska promotion sahi kse kar lo ek bar aap kuch regular readers bana loge to aapke readers hi aapki post share karne lag jayenge. Starting me thoda time jarur lagta hai but jaldi hi aapka blog top par hoga. Promotion yani site post ko social media, friends, apy service etc. se promote karna or jyada se jyada logo tak blog pahuchana. Iski jankari ke liye humari baki post bhi padhe. Hai. Is par m vigyan se judi jankari deta hu. is par 2000 hjar log daily aate hai. Mene yah April 2017 me shuru kiya tha. Sir mera blog, blogger par hai aur live karo ka kya matlav hai sir mai samjha nahi dusri baat kya agar hum blog ka backup download karte hai to usme hamara post and comments etc.. sabh item ka backup ho jayega. Ek baat aur sir maine apne blog ke title ko kal raat me change kiya tha lekin subah me jab maine dekha ki mera blog open nahi ho raha hai to maine phir se blog ka title change karke helpgyan hi kar diya phir bhi mera blog open nahi ho raha hai. Live yani ek time me readers se bat kare. Yes posts, pages, and comment etc. sabka backup download hoga. Shayad aapne blog ka link change kar diya hai. ya fir domain ko blog se remove kar diya hai. Kyuki aapka blog available nahi hai. Aapne blog delete kar diya hai ya fir kisi wajah se delete ho gaya hai. Blog ke dashboard ko opne karo or apni posts ka backup bana kar fir se blog ko live karo. Mujhe details se btao ki aapka blgo WordPress par hai ya blogger par. Aapka blog bahut achha hai mene dekha ki aap 2015 se hi blogging kar rahe ho me bhi 2015 se try kar raha hu par abhi tak kuch jyada traffic nahi milti, traffic kese badhayi jaye? aap 101 me se kaunsi tips jyada use karte ho? Main mostly unique content likhna pasand karta hu. Abhi aap sitemap create kar search console me submit karo. Good ab theme ko thoda customize kar lo css coding se kar sakte ho. Himanshu main coding ke bare me guide nahi kar sakta. Sorry brother. Sir Mujhe Ye Batay Mai Apne Blog Me Kon Sa Free Template Use Karu Aap Recommende Kare. Main abhi WordPress user hu so aap google me “top best template for blogger” likh kar search karo. Kuch logo ne best template ke bare me post ki hai unme se jo pasand aaye wo use karo. bhai mere blog me bhi ek najar daalo…. aur koi kami ho to batao…. good blog blog ke footer ke bas psace bahut ho raha hai use theek karo. Bilkul aap aesa akr sakte ho but uske liye aapko SEO ko achhe se samajhna hoga. Jumedeen bhai thank u for sharing us this post..Very very very useful information. Aap kisi or ke computer me try karo ya mujhe contact forum me mail send kar main kar dunga. 1. mera blog me mixed content error araha hai kya karu ? 2. sitemap nehi ban raha hai. ‘an error occurred’ show horaha hai. aap mera blog ka site map create kar dijiye please. 3. blog post title ke pahele blog ka title ata hai iske liye apka diya huya code submit kar raha hu to error show hota hai. 1. Main iske bare me jaldi hi post karunga wo follow karke sahi kar lena. 2. aap sahi se sitemap bana nahi pa rahe ho step achhe se follow karo. 3. Code ko sahi jagah par paste karo erro nahi aayega. 1. search engine me blog ka title ke bad post ka title araha hai. iss liye page view bhi kam ho raha hai. kya Karu ? 2. Custom domain add karne par search engine me koi faida hoga kya ? 3. mera blog ka sitemap nehi ban raha hai. error occurred show hota hai. please solve my problem. 1. mera blog food ke bare me hai to post ka content 1000 – 2000 kaise likhe ? 1. har content me more content jaruri nahi hai. Jisme jaruri ho usme jyada content write karo. 2. Iski wajah hai. aapka blog bahut simple hai use thoda achhe se design karo or koi achhi template use karo. Daily apaki site par 500+ traffic hona chahiye. Bhai mere blog me bahut se aisi post hai Jo So optimize nahi hai. me bahut si post ka URL change Karna chahara hu. kya koi problem ho sakti . mere blog par 250 post hai par daily 40 /50 visitors hi aate hai. kya ab me kisi ad network pe Google AdSense ya chitika par account bana Sakta hai . 1. Kar sakte ho koi problem nahi hai. 2. abhi or traffic badhao. Hi sir aap ki sabhi post kafi achhi hoti hai bahut kuch sikne ko milta hai. Bahut Hi Aeham Aevam Mehtbpurna Jaankari Share Krne ke liye bhut bhut dhanywad aevam aapke blog ke liye badhaaiyaana..
Bhai Bahut achchi post likhi hai. Hindi language me aisa content kam hi dekhne ko milta hai. Thank you very much for sharing this. Bhai aapke blog ki theme bahut achchi hai. Kya aap mujhe iske bare me bata sakte hain? Mere Blog Ko Jab Google Me Search Karte hai Blog Ke Title Se Search Karne Par Bhuat Niche AAti hai Lekin jab-Jeeadvcutoff2016 Search Karte Hai to Meri Website 4-5 number par aati hai . top par lane ke liye mai kya karu. Aap blog par quality content likho first page par aaner lag jayega. NAMASKAR, Sir Maine Jee Advance Se Related Website/Blog Banaya Hai. App Is ko Check Kare Ki Kya Kami Hai. Aabhi To Maine Keval 1 Hi Post Likhi Hai. Maine Template Aur Aanya Things Bhi Change Kar Di Hai. Aap Dekh Kar Bataye Ki Blog Ki Design Aur Mera Blog Kaise Hai AApka Hamesha AAbhari Rahunga . Yeh Blog Maine Keval Experiment Ke Liye banaya Hai. Iske Baad mai Naya Blog Banaunga. Bahut acha blog hai or usse bhi better apak isoch hai. Aap thoda apni writing skill ko behtar banao. Har words ke first character ko capital me use mat karo. Hello sir me aapke blog par guest post karna chahta hu to me chahta hu ki me ek Android application par post likhu to kya me guest post kar sakta hu? Ha likh sakte ho aap guest policy padh kar mujhe message karo. Iske liye aapko success ke bare me dusre jin ki post first page par aati hai se badiya content likhna hoga. I want to clear my doubt kya aap mujhe gmail pr mil sakte hai. Bro aapko kya doubt hai. Yahi par puch sakte ho. Sir meri blog pr traffic bhut km hai.Kaise increase Kare. plz help me. Is post me yahi btaya gaya hai. Ha kar sakte hai. Bas content same nahi hona chahiye. Sir bohot Acha Artical he . Sir Mera Blog check kare aur bataye ab me kya karsakta hu aur ? Aapki site ke design or post talent dono sahi hai. But bro kei bar google humari choti si galti ko bada bana deta hai. Meri nazar me koi kami nahi hai. first post share ki nahi ki aap traffic ke bare me soch rahe ho. It’s very bad bro pahle kuch mehanat to karo bad me traffic bhi milne lag jayega. Thanks Jumedeen Bro For Sharing Such A Excellent Post. I Will Apply These Ways To Increase My Blog’s Traffic. Ap ka blog bahot achha he ap muzko bata sakte he ap ko si hosting use karte hai. Mai business plan use karta hu. Hosting ka traffic ka koi lena dena nahi hai. hostgator.com ya bluehost ka sir ? ono best hai. Aap koi sa bhi choose kar sakte ho. bhai aapne whi chize mention kari hai jo phle wale post me kari hai..!! Google webmaster tools me sirf site ka link add karna hota hai. Sabhi post ka link nahi. Aap bas apne blog ka link add karo or use verify karo. Sabhi post index ho jayegi. isse koi problem to nhi hogi na like Rank incrase me ya kisi or wajeh se ? Nahi aap sirf yoast seo plugin use karo. Bahut hai. Kya aap mujhe ye bata sakte hai agar me 2 blog banao or dono blog me same topic ke article dalu magar alag alag tarike se likh kar, magar jo keyword honge bo ekdam same honge isse mere AdSense ko koi problem to nahi hogi na ??? Magar me to alag alag tarike se likhungi, jaise apke paas 2 blog hai hindi.mozedia.com or support me india dono me to same topic cover kiye jate hai to apko koi problem nahi hota ??? Mere kisi bhi blog par same topic par post nahi hai. Supportmehindi par mai only blogger ke bare me wo post likhta hu jo supportmeindia par nahi hai. Ayse aap bhi likh sakti ho. But same post nahi honi chahiye. Hanji sir, post same bilkul bhi nahi hoga magar topic same hoga jaise ki example se apko samjhati hu, man lijiye mere 1 blog ek article likha jiska heading hai “motapa kaise kam kare” ab mene dusre blog me likha Motapa kam karne ke top 10 tips to ye dono alag alag ho gaya but topic to same hai Motapa kam karne ko lekar magar dono ka jo content hoga bo 100% alag hoga. kya aisa ho sakta hai ??? Why note. Are bhai aapke dono post ka topic bhi alag ho gaya na. Aap ek me motapa kam kare a tarika or dusre me tips bta rahe ho. Mai is bare me aapko already guide kar chuka hu. Bro jab aapke blog par search engine se 300 se jyada traffic aane lag jaye tab AdSense ke liye apply karna. Aryan, Ghabaraye nahi aap apne blog par aur bhi zyada dhyaan de. Aur badhiya post likhe, Traffic increase kare. Maine lagbhag 10-12 baar re-apply kiya tha Adsense, Phir mujhe jakar google AdSense account mila. Har baar disapprove kar dete thay, Google wale, Lekin maine ummemd ka saath nahi chhoda. Har 10-15 din mein re-apply karta tha. Aur aakhir mein ek din mera AdSense account approve ho hi gya. Isliye Aryan Dil chota na kare. Support Me India ki website par bataye gye tips ko follow kare. Jummedin Sir ne Google Adsense ko approve karwane aur Blogging ke liye acche tips diye hain, Unhe aap follow kare. Aap jaroor successful honge. Thanks. Bro, Mai Bhi Ribbon theme use Kar Raha Hu, Lekin Aapki Aur Meri Site Me Etna difference q hai, aapne apne site ko Kaise Customize kiya. 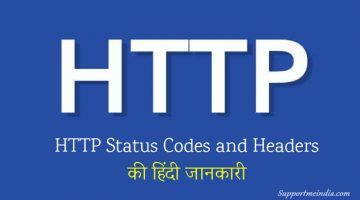 Abhinav aap WordPress ki coding ko ache se sikh lo jo ki php coding me hoti hai. Uske bad apni site ko chaho jaise design kar sakte ho. mere AdSense account ke homepage me ye msg dikha raha hai. You currently have a host-only account, so this ad code will show as a blank space outside of host partner sites. To find out how to get live ads on other websites, please refer to our Help Center. Aapne YouTube se AdSense account banaya hai. So abhi aap sirf YouTube par ad laga sakte ho or aapko AdSense fully approved nahi hua hai. Adsnese account ko hosted account se fully approved karane ke liye aap sitemanagement me xyz.com domain add karo or fir ads bana kar apne blog me lagao. Aapne first 2 post sticky ki huyi hai. aap blogger setting > post and comment me ja kar show at most ke samne 10 post par tick karo. Error parsing XML, line 5, column 15: Attribute name “async” associated with an element type “script” must be followed by the ‘ = ‘ character. Amit aap head ke nahi body ke bich me code paste karo. Nahi domain aapko khud select karna hoga. jab aap kisi post ke link par click kar use open karte ho to wo click hota hai. Aap facebook page par jab bhi koi post karoge to un sabhi user ko pata chalega jinhone aapke page ko like kiya hai. Maine blog par Facebook page add kar liya to kya ab m blog par post share karunga to kya Facebook page par automatic share ho jaayegi agar nahi to kaise hogi. Blogger post ko facebook page par automatically share nahi kar sakte. sir i think aesa kiya ja skata hai? Aap kisi apps developer se banwa sakte ho. Mera aktrick.com site tha tab meri yah soch thiki mai khud ip change karke ads par click karke bahot paise kama sakta hu.but mai galat tha Adsense block ho gaya ab mai theek se paise kamana chahta hu or mera aktrick par Adsense nai ho raha ab new site banaya hai Foreworetech.com to aap suggests do kaise Adsense bana sakta hu or ha mera site visit kare or mujhe site ke problem suggest kare. Thank you jumedeen bro, aapka pesponsive mujhe mila hai. Mai khush hu ayse hi aap jankari dete rahe. bro mai ek bat puchna chahata hu maine jo blog me big size ke words use kiye hai kya aap unki bat kar rahe ho, kya wo mujhe use nahi karne chahiye. kya isse post search me nahi aayegi or mere blog ka size to theek hai na. thank yuo bro mujhe aapke responsive ka intjar hoga. Capital words me commnet mat karo. ha hum post ke sabhi words highllight nahi kar sakte , isse aapke blog ki search ranking low hoti hai. aapke blog ka size theek hai bas post me sahi size ke words use karo. Your welcome on supportmeindia. Mujhse jitna ho sakega aapki help karunga kyuki mai chahata hu ki mera har ek visitor success ho. Maine aapka blog check kiya hai so is waqt mai aapse kahna chahunga ki aap blog me se faltu ki widget remove kare or blog post me jo aapne big size use kiye hai unka size kam karo kyuki search engine hume sirf important words o hi highlight karna allow karta hai. Aap me request karta hu ki aap music, movie website kaise banaye ke bare post kare. Thanks an mistake nahi hoga. Theek hai kal aapki problem solve ho jayegi. Mai movies maker site ke bare me post karunga. sorry bhaiya , aapke kehna sahi hai, but mai aisa nahi karta hu, isliye mere agar koi dusri sawala hota hai, to mai aapko dusri post me dalta hu, aisa kab karta hu? Apki post bahut accha gala. thanks jumedeen bhai aise seo post karte rahiye aur help karte rahiye. ekdam mast tarike hai.me aapke bataye hue sare tarike ko follow karuga.Bas aise hi aap kuch na kuch likhte rahiye. @Ravi aap ek post me apne sare sawal puch sakte ho. Alag alag post karke aap supportmeindia ki policies tod rahe ho. But mai fir bhi aapki commnet publish kar raha hu. Aur bat rahi regular visit karne ki, sayad aap mere bare me jante honge. Aachi post hai sir aapke post me har samay kuch naya hota hai, Thanks for posting this with us. Sir 1 sawal hai ki aapke site mai jo left side me sahring ka option aa raha hai vo kaise aata hai. Aur usko blog me kaise add kar sakte hain please help.